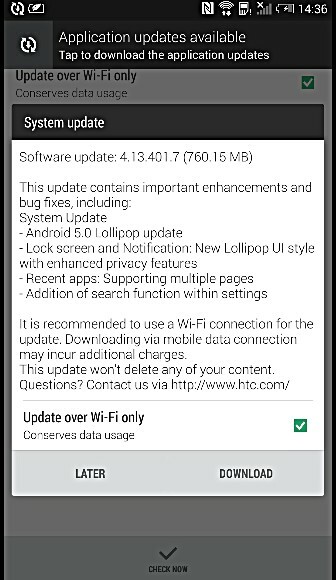 The One Max, which was released by HTC back in October 2013, has started receiving the Android 5.0 Lollipop update. Weighing in at around 760MB, the over-the-air (OTA) update is currently rolling out in select Asian and European countries, including Taiwan, France, Italy, Poland, and Czech Republic. NYC, USA: I've been waiting for a next gen HTC One MAX and that is probably never coming - so at least let us get Lollipop; and still that hasn't come for us either.. It is now July 15, 2016 - and still NOTHING! WTF Sprint?! ?